This time last year, we were in the midst of Snap Spectacles hysteria. Smiling, yellow vending machines were being dropped at random locations around America; people were guessing where the next would pop up. If you got to one, or had been lucky enough to have it land in your hometown, you'd have been able to buy a pair of Snap's video-recording sunglasses - after you'd handed over the $130 fee of course. It was an exercise in artificial scarcity, and it worked… for a bit. One year on, there's less to smile about. Snap overestimated demand and it left the company with $40 million in unsold plastic. According to a report from The Information "hundreds of thousands" of assembled and unassembled Snap Specs currently sit in a warehouse. If you look at the figures, half of the $40m amount was purchase commitments, meaning Snap had planned to make even more. 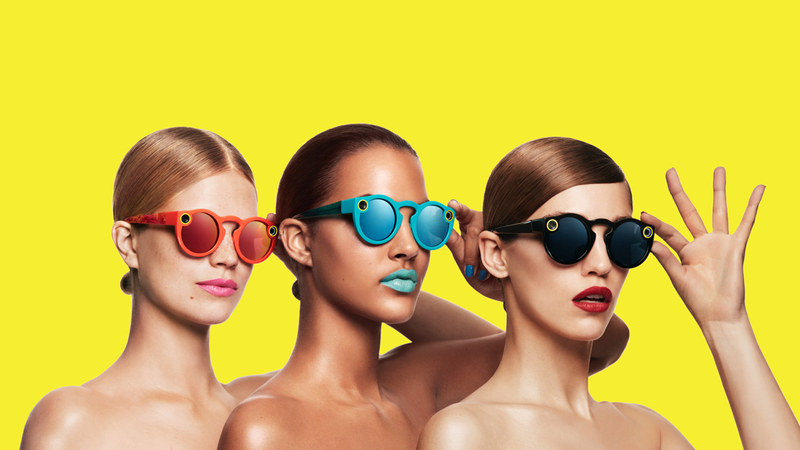 At the same time it was reported that less than half of users continue to use Snap Specs after the first month. Snap's first attempt at hardware was an interesting experiment, but it was also a commercial flop. So what happened? After all, at the time we lauded the company for making the first pair of smartglasses that didn't make us feel like total dorks; a palate cleanser for the bad taste Google Glass had left in our mouths. At first, Spectacles were cool because they were exclusive. The vending bot idea had conjured up a lot of buzz, but slowly interest waned. In February, Snap made the glasses available to buy online, meaning everyone could get their hands on a pair, but this was months later and the shine had worn off. Initial hype set a misguided trajectory for Snap, but there were flaws in the product too: Snap Spectacles were very limited with what they could do. Last November I spoke to a few early adopters of Spectacles to get their initial impressions, so I went back to a few of them, one year on, to see whether they were still using the glasses. They weren't. That wasn't a huge surprise, but I was more interested to know why they'd fallen out of love with them. "I barely use mine," says Nick Abouzeid, head of social and growth at Product Hunt. "They're sitting in a drawer, out of battery. Last time I wore them was to a Silicon Valley themed Halloween party as a joke. The videos I made with them when I did use them actively were great, but I don't do enough interesting/Kodak-worthy things for them to be worth the hassle." Like other people I'd spoken to, including friends who own them, Nick wasn't interested in the idea of all-day lifelogging, but the potential of a new medium. "With your phone, you can quickly take it out, snap a picture or video, and away it goes. It's a temporary intrusion into your otherwise tech-free experience, which is what I look for. Spectacles felt like a constant presence, even if they weren't filming." When I talked to comedian Lana Lakke last year, she particularly liked how Spectacles brought a more natural way to capturing video than the smartphone, but the shine quickly wore off for her too. "Overall, I think Spectacles were more than a gimmick," she tells me, "but the way in which Snap handled the launch and subsequent rollout left a bad taste, and proved to be another example of how disconnected they've been with their user base. "I'd say that the first 30 days of the rollout was exciting. The build of anticipation and excitement around where they would be available next was incredible to witness. I believe many people were thinking or hoping there would be a large scale rollout shortly thereafter." Instead, Snap arguably took far too long to get to a bigger rollout, be it by choice or frustrations of mass production, and by the time it happened many people had already lost interest. "The rollout of Spectacles was as if it were done in a vacuum," says Lana, "not unlike the way Snap has handled other issues, like their top influencers' mass exodus to Instagram." The delay was clearly a problem, but it wouldn't have solved the flaws of the product itself. Keeping users locked to Snapchat's app, rather than letting them use Specs with the camera roll, is one of the biggest, I think, especially in face of growing competition. (You can get Snaps across to Instagram, but it's not simple). Over the last year Snapchat has had to fend off the rising tides of Facebook and Instagram, which have managed to scale the same ideas more quickly. Snapchat's daily active user growth slowed down in Q3 of 2016, around the time Instagram launched Stories, its own version of Snapchat's disappearing clips. The correlation there was probably no coincidence, and the fact Snap hasn't done more to woo influencers - some would argue it's even given them the cold shoulder - meant missed potential for Spectacles too. Pai Muehlenbeck, a prominent Instagrammer with 2 million followers, tells me she's used Snap Spectacles "extensively" and loved the concept, but eventually stopped because she just wasn't getting the reach. "My Snapchat audience has migrated to Instagram," she says, "I'd imagine partly because Instagram Stories is better quality, more convenient, and Snapchat's UI is one of the most confusing out there." Some social media gurus did give Specs a fairly decent try. Karen X Cheng, who I spoke to last year, became one of the best known for her inventive Spectacles creations. But Pai says there's also a disconnect between the way many Snapchat users use the app and glasses, which made it more challenging. "Snapchat is typically based around the user posting themselves in shot," she says, "so taking away the 'selfie' function of Snapchat meant that if I ever wanted to snap myself quickly, I'd have to take off the Spectacles, and hold them in my hand and hope that I was pointing them at my face accurately. It's a small issue, but it changed the reason I would use Snapchat." And there's the privacy dilemma too, which was a prominent talking point back in the days of Google Glass. "If I hold up my iPhone pointing at my friend, they know I'm filming them and react accordingly," says Pai. "If I'm wearing the Snapchat Spectacles, the surrounding people have no idea if I'm filming or not. It felt invasive, and my friends would always ask 'are you filming?' Or more commonly, 'can you take them off…?'" The problems of Spectacles are not deterring others who want to make a smartglass splash. Vue, for example, is gearing up to ship its own glasses early next year, which use bone conduction tech to let sound travel from the frame and into the wearer's ears (similar to what Amazon is rumored to be working on). Aaron Rowley, co-founder of Vue was encouraged by the interest in Snap Specs, but hopes to hit where Snapchat missed. "Right out of the gates it was a form factor that only made sense in a narrow range of circumstances, and no amount of tech was going to change that," he says. "To become a lifestyle product, the form factor has to be suitable to a user throughout their day. More specifically, the user should be able to access the features effortlessly when they are ready, which is obviously a problem with sunglasses since a user won't be wearing them during huge chunks of their day." This gadget aims to soothe period pains – but does it actually work? Like Pai, Aaron pinpoints the restricted nature of Specs as one of the key reasons they didn't become more popular. "It was optimized to take short videos and pipe them directly into Snapchat. It wasn't straightforward to use the tool as a general way to capture videos throughout your day, and I think that made them inconvenient in a way that people didn't first imagine." As Aaron adds, it's easy to pick them apart in hindsight. "The stars seemed pretty aligned at launch, so there is definitely some insight that we're all lacking." The Spectacles flop was due to a compound of problems, and ultimately the $40m is a drop in the bucket compared to what the company is losing elsewhere. It just opened a pop-up store in London to shift some of those unsold Spectacles. The company wouldn't comment on whether it plans to open more in the US. But Snap Inc is now a camera company, and its Spectacles experiment was a success by some metrics, namely that it proved a lot more people (150,000 to be exact) were willing to stick a camera on their face if it didn't look too ugly. Snap is still interested in glasses, and we know it's got an eye on augmented reality, so there's every chance it'll take another stab. "The only way I see Spectacles ever making a solid comeback is with an open API for other apps to use the hardware, or to start to compete with the GoPro 'wear it on your head for a bungee jump' audience," says Pai Muehlenbeck. If we're adding to the wish list: make them a bit better looking; create prescription versions; and maybe next time, leave the vending bots be.